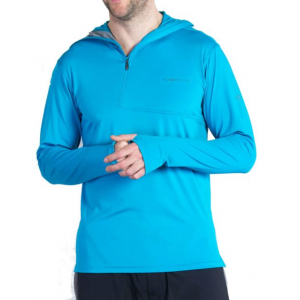 A nice base-layer or second-layer that combines a soft hand and all-day comfort with maximum UV protection. ExOfficio has a lot to say about the cooling effects of their Sol Cool products. I read somewhere a little something about Xylitol being found naturally in Birch trees. The science doesn't end there though, Exofficio has a totally unnecessary demonstration of Xylitol changing the temperature of water several degrees in a video. I don't know if I am ready to make the leap from the effects of refined Xylitol in a vat of water to a person feeling cooler, but who doesn't like a good demonstration? 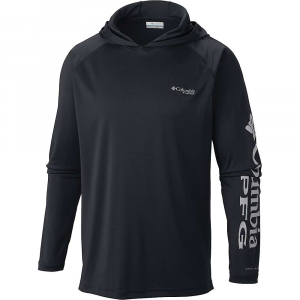 Maybe Xylitol does enhance the cooling power of the shirt when wet, but I find no discernible difference between my Sol Cool shirt w/t Xylitol and similar polyester UPF shirts, and if I can't tell the difference, why should I pay the difference? My Sol Cool shirt is relegated to on the water use. During the day the high UPF protects me from UV damage and the stuffiness of the tight weave of a poly shirt is easily offset by soaking the shirt throughout the day to add a bit of evaporative cooling. 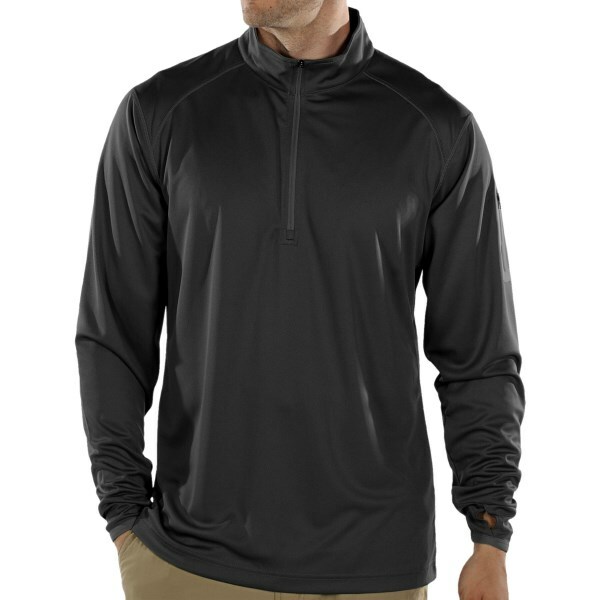 By the time the cooler evening hours set in the quick-drying polyester fabric is dry and the tight weave helps keep the chill off my arms and torso. 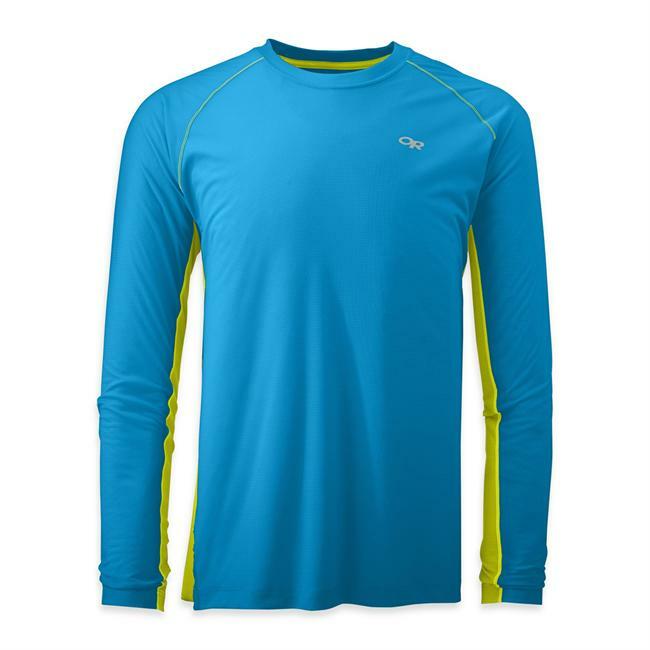 It might seem a bit limited that I use the shirt only while on or near water, but I also use the shirt on trails as a second or sleeping layer during the summer if I expect a lot of rain or cooler temps might make an appearance. A work-horse on the water, an extra quick drying layer for sunny days, and a soft layer for sleeping is actually a lot of duty for one item, so I believe the Sol Cool is worth the closet space and cash if you got them to spare. Rounding off the positive attributes of the Sol Cool shirt are its amazing comfort and durability. I can paddle and swim contently in the Sol Cool shirt all day, and it always makes a soft and comfy undershirt when you're looking for a little bit of warmth. 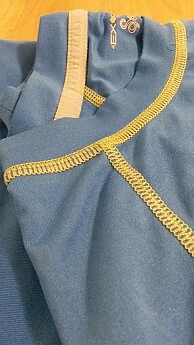 It is not hyperbole to say that the hand of the polyester used in the Sol Cool shirt is very near that of cotton and silk, to get a better feel against the skin you have to look towards natural fibers, but with the Sol Cool you get the comfort of cotton and silk without sacrificing the hydrophobic properties (quick-dry) of synthetics. The flat-lock seams are a nice touch that you don't find on cheap UPF shirts (though turning your shirt inside-out has the same effect). The decision to shift the shoulder seams off the top of the shoulder for backpackers is another nice feature. Similarly, the durability of synthetic fabrics make a shirt like the Sol Cool a one-time buy for many folks. 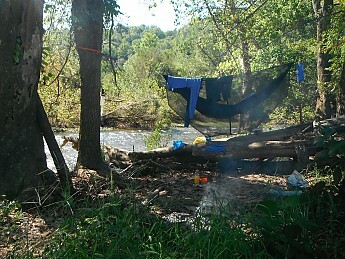 I have worn my Sol Cool shirt for every summer paddling and fishing trip in the last 5 years, as well as for some summer backpacking around creeks and lakes, as well as rainy trips. Save for a tiny hole from a stray piece of burning ash the color and condition of the shirt are near enough to what they were when I got it that I am unaware of any difference if it exist. The care and maintenance couldn't be easier either, as I wash and dry my Sol Cool shirt along with my normal colored laundry. Save for the somewhat limited versatility of the Sol Cool shirt, the bulk of my complaints are not so much about the shirt itself, as the price and options offered by ExOfficio. First, the price for the Sol Cool shirts is nearly X6 what you can get a similar shirt for. Hanes offers a near exact shirt minus the flatlock seams for around $8, and many other options with flat-lock seams exist for around $15. As much as I want to give the nod to ExOfficio for helping to create and develop the market for these shirts, there is no way anyone should pay full-price with the discount choices available. Secondly, ExOfficio currently (2018) offers only two Sol Cool options for men, neither of which are long-sleeve or hoodie variants. A short sleeve option sacrifices protecting the arms from UV damage during the day and evening chills at night for what are only marginal gains in weight reduction and fixed ventilation. For me personally short sleeves appear a poor choice for anything more than causal wear. 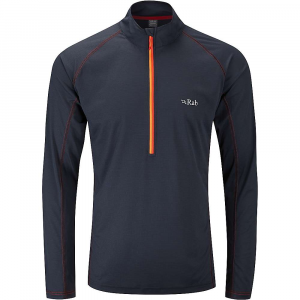 I use the Sol Cool shirt primarily to protect my arms and torso from the sun, and secondly as a comfortable second-layer of warmth, having no long-sleeve option means that both those uses are greatly hindered. Wrapping up, the ExOfficio Sol Cool shirt, or shirts similar to it, are super comfortable shirts that help keep you cool and protected from the sun when on and near water, and provide additional warmth when a night or morning chill hits you during the mostly warm summer days and nights. I highly recommend keeping the fit loose, the extra room will add even more comfort to an already very comfortable shirt, and mitigate the stuffiness of the tight weave without sacrificing too much of the warmth as a second layer. In fact, after UV protection, comfort is probably what the Sol Cool shirt offers most, so if you're looking to add some to your summer kit look into one, or at least a shirt like it. Thanks for the review Joseph. Does the shirt actually cool your body temp down 5 degrees like they advertise? I am considering one of these shirts for backpacking trips in the Grand Canyon. Jason...I commented on this topic in the forums...but in short...I think the shirts do feel a bit cooler than other synthetics (particularly when wet)...but like most synthetics I find these shirts are still a bit stuffy feeling compared to a cheap old threadbare or thin button-up cotton shirt...to which the the only thing better is no shirt at all. With that said...I think the ExOfficio shirts are still a good buy (look for a sale though)...they are my go-to shirts for kayaking and canoeing...providing great protection from the sun...and comfortable to paddle in all day. When not on the water I also tend to use these shirts as a dry change of clothes for camp and sleeping in the summer...lightweight...dries quickly...a really soft feel (hand) against the skin (like silk). I may look into one of these shirts, Joseph! Price Paid: Don't remember, I'm sure it was on sale! I'm generally a huge fan of ExOfficio clothing, but maybe not this time. Perhaps I'm expecting too much, a shirt that can actually keep me cooler in East Texas summer heat, but that is what the mfg description claims. But under most summer conditions here, it ain't happenin'. Imagine my excitement when I read about this magic shirt that claims to not only protect the wearer from the sun's rays, but can actually keep you cooler in summer heat than std summer wear. I spend a fair amount of time outdoors all year long, and have been making a real effort to stick with long sleeves and UPF rated clothing to protect my skin during our blazing Texas summers. So far I've worn this shirt probably a half dozen time in temps ranging from mid 70s to low 90s, and under most summer conditions I actually think it is warmer than other, similar shirts I use. The Xytol that is blended into the fabric is effective if there is a breeze. If you're sweating (I believe moisture is what activates the Xytol) and you have even a slight bit of wind, the shirt will feel a bit cooler. But much of our summer is simply hot and still and in those conditions I've regretted wearing this shirt. Perhaps for the lake, in the mountains, or for any activity where you'll be pretty confident of a slight breeze, this would be the perfect summer long sleeve T-shirt. I should also mention the fit a comfort of the shirt are just fine, ExOfficio clothing is usually quite well made and I like their style. 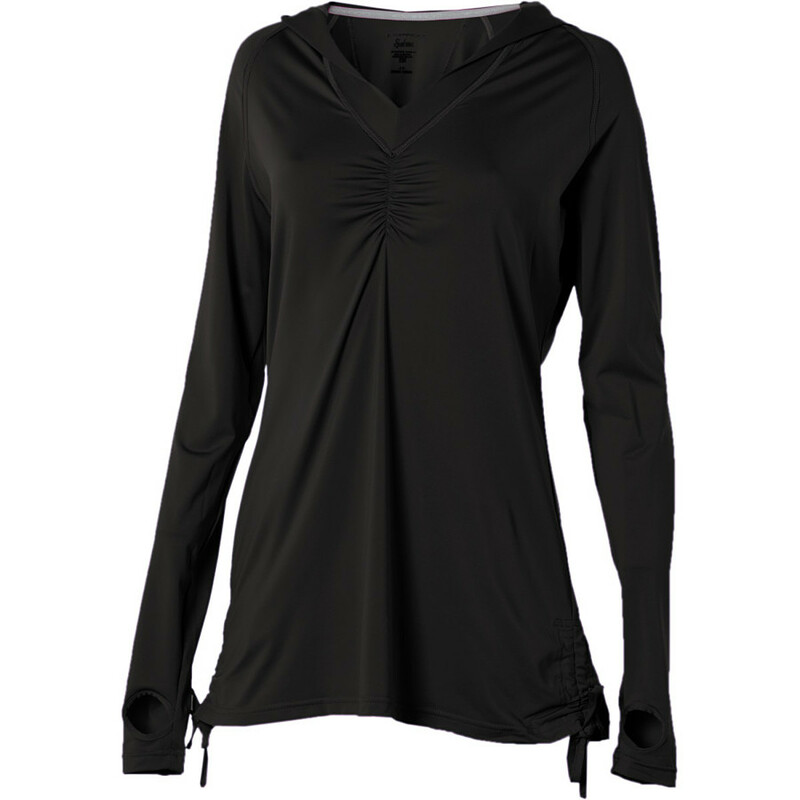 I am interested in trying the shirt out in our warmish fall and early spring weather, and I imagine it will be a fine base layer for cooler weather, so it isn't a total loss at all. Just not what I was hoping or allowed myself to believe. Thanks for the review, Alcap. I imagine, like many companies, the marketing team focuses on the selling points to the point where it becomes a bit exaggerated. Thanks for sharing this, Alcap. 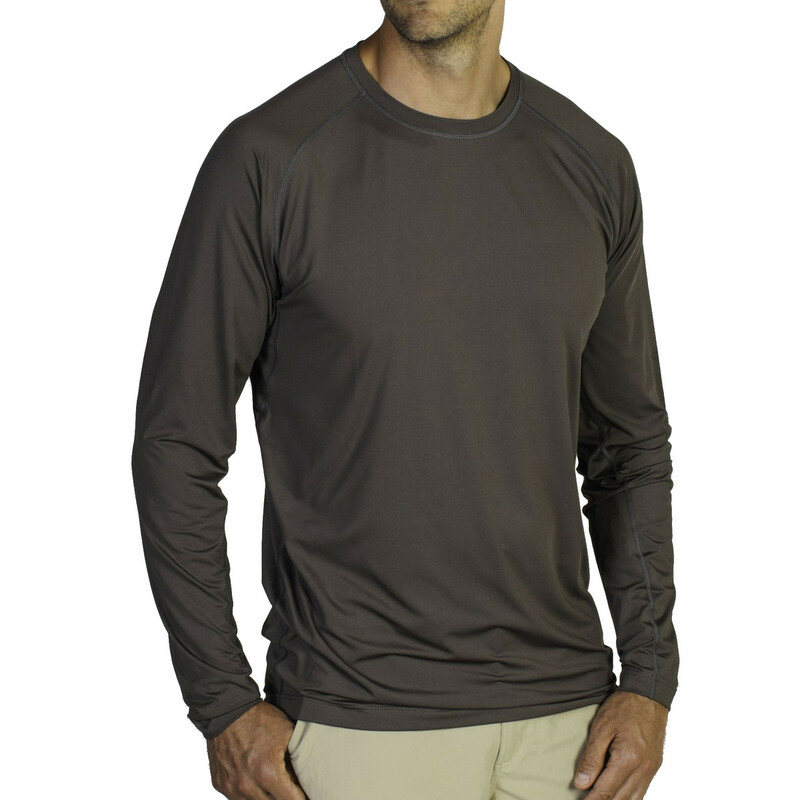 The ExOfficio Sol Cool Crew Long Sleeve Shirt is not available from the stores we monitor. It was last seen April 15, 2018	at REI.